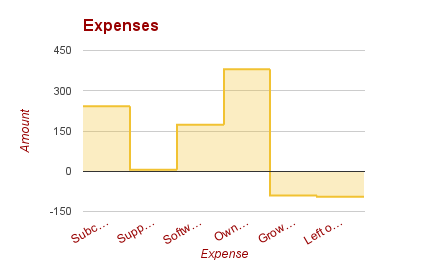 Unfortunately this month we ended up doing a bit more spending than we originally planned. We had hoped that our Instapage account was still active and we had free time on it, but Grace accidentally logged in with her personal account over the weekend, thought it wasn’t active, and paid for a whole year’s worth of awesome. Don’t get us wrong — it’s worth it. Instapage is the best landing page software out there, and very much worth the price. Revenue is back up because the kids aren’t on break, and Grace is able to make it work between private tutoring and working at Brightwood (formerly Kaplan College). Thus, all the money from Brightwood paid for her personal expenses and all the money from private tutoring came to Insanitek. This will not be the case again until August, so we took advantage of and paid for Instapage out of this money. 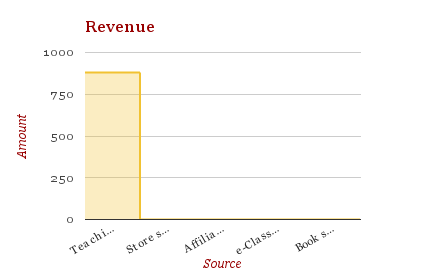 Revenue is slightly up for tutoring and teaching, but we really need to expand on other offers. Sending out the flyers for the academic infographic service has had few leads and no takers yet. We have sent out about 32 flyers along with 32 follow up emails to state that someone here has read and recommended their paper for a mini infographic, which we do one free one a month. Only 2% have opened the email, and only half of those sent an inquiry as to how the drawing for having an infographic done works. From this we can conclude that there is a lot more interested in our services than thought, but not many are ready to make that leap into a new and improved method of science communication with their peers at poster sessions. As for Wish for Our Heroes, Grace has filled out their volunteer form. They said they would be training people in February, but that didn’t happen. Either Grace wasn’t selected for volunteer work due to her schedule or they completely forgot to send a message to potential new volunteers. Either way, Grace was unable to start working with them in February. She will continue to look for places to work with in the Indianapolis area that can help elevate Insanitek. Expenditures were normal other than the mentioned Instapage purchase. Again, expenses are too high for our revenue. A few things are about to get axed. We’ve been making good use of the classes we purchased last year (Owner’s Media, Six Appeal Process), and have developed a huge lack of attention span with all the new information. As we’ve slowly been integrating the knowledge into our own processes, we’ve been slowly changing things around here. Ali is working hard on the new website. You can see it at beta.insanitek.net, even though it isn’t finished. We’re tweaking copy here and there, and slowly integrating all our lessons into our new and old offerings. We are currently looking at some of our purchases and evaluating them for their value. We had used a service called BlogPhoto.tv in the past for some images. The guy that takes the photos and runs the blog was doing pretty well there for a while, but for two months nothing new has been added to the photo database. We pay $6 a month, and it’s just not worth it. That $6 can easily go for other things. Another expense that is about to get axed is PayPal. Normally we used this as our payment taker, but they charge 3.5%. As a courtesy for our clients, we had only passed on half those fees to them. Now, we are going to integrate straight into the bank which charges only 0.15 per transaction + 2.5%. It’s a lot more cost effective. This won’t change our pricing structure, but what it will do is free up a slight amount to pass into a scholarship fund. We have been working hard on getting Knowledge Conduit ready behind the scenes. Grace and Rachel have been working on Flash Math PDFs so people can use to refresh their basic math skills, teach their kids with, or even use in the classroom as warm ups before you move onto the next topic. Ali has been working out some potential ideas for e-courses. This coming month we are going to continue on this path, while also researching how to make e-course that you can get a legit certification for. Why? Want people to have more affordable options with high quality results. We’re gonna keep it simple for the next month since we’ve already realised we can’t do as much as we want in the time we have. For that, we’d have to be superhuman.